Now just get ready to be knocked from your feet. These are amazing. These are beyond amazing. You ever wanted to tank with a turtle – well here you go, and a badass one. Too bad I already have two druids which I never want to abandon :) And I plan my Zandalari to be either a hunter or a warrior. But it’s such an awesome option for other players, and this would definitely drive troll character numbers to the top. Cant’ wait to see the cat form… and I keep wondering if Blizzard would add more distinctive racial options for basic races. Because what I see with Zandalari it’s beyond imagination. I know that most of my readers are full-time raiders, which rarely use LFR, and yet this is a major problem to me that I’d like to talk about. Leading my 12-toon roster via LFR means facing the trouble of beggars. After any loot item you get, you’ll receive a shower of whispers asking – and sometimes demanding! you for your drop. I can’t specify strong enough how this pisses me off. According to my observations, the beggars of this sort are 99% inadequate people. There’s no “hello”, there’s no looking up my gear profile to see if the item would be an improvement to myself (and sometimes it’s so obvious, me running with an 860 or 880, when the drop is 915), there’s poking me with whispers even if there’s a boss fight rolling, and I’m healing/tanking like mad. And there’s a single reply-short way to direct insults. Hell, they sometimes even try to prove me that I don’t need an item – although it could be better for my stats, or I need it to swap legendary gear. I would never explain it to them. Normally I’m putting an item on a roll if I don’t need it – and this is the only way anyone could get it from me. Whispering beggars have no chance, even if they roll afterwards. I’d better vendor a piece than give it to a beggar. I have grown to either ignore the beggars or reply in a very harsh manner. Beggars deserve no explanation, no replies, no nothing. Not on my watch. And they could bathe in their frustration as much as they want. But you know, sometimes you just want to give an item for a beggar. Because he spent his time to write a polite and nice request – you actually see that’s a nice person talking, so you just want to do a favor. Happens in 1% of cases. And even so, it’s gonna be a roll first. Like I said, 99% of “need shoulders?” – go to hell. It was quite a week of my vacation devoted to WoW mostly. And I’ve advanced significantly on my way in different directions. Let’s talk one by one. No mount this year – again. 13 tries daily, and no result. People advise to just quit trying any holiday mount! Not my thing, it provides some distraction from routines, so I’ll be running it and Halloween nevertheless. For the Lunar Festival, there are 3 new toys which allow you to make a chinese festival dragon with your friends, and four awesome wreaths as a holiday attire. I had some free time to drive all my classes through Antorus. I’m glad to report that mogging slots get gradually covered. This is just awesome how every next earned item means less runs and less bosses every next week. This means that all my cloth toons are now officially on standby mode! Their job in raids of Legion is done. Faari, Micromantica, Faerella and Aurinko are enjoying their well deserved rest from the hard campaign. Myde, the new leveling mage, will still run Antorus when she gets there, but merely for ilvl sakes. I think I would drive her to 915-925, and this is gonna be it. I just want her to be on the same level as my other toons for pre-patch. Of course my cloth girls happen to have another goals to do. There’s Archaeology and Fishing acheievements to complete for Micromantica. There’s 20000 eyes to farm in Underbelly for Faerella (she has 8500 on her now). Yet I devoted a pair of hours to farming goals already. 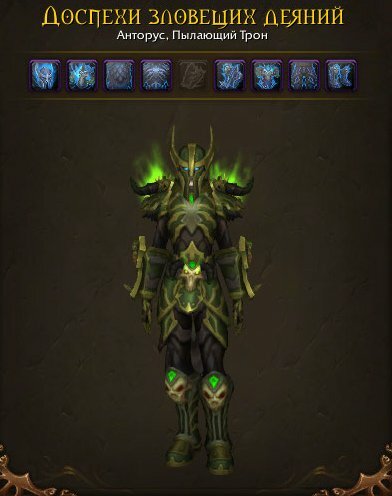 5000 Argus demons were slain, and 5000 saberon claws collected in Tanaan. The thing is that you don’t acquire them little by little, no. One great effort, and you close the achievement which would not loom over your head ever since. And of course, there is leveling of my four new Allied Races. I happen to push them forward equally: they are now at 37-39. If it were just one toon, it would already be mid-Draenor. It’s dungeon queueing while questing, and it’s pretty fast if you are really into it. For example, Kalaari the Paladin, upon finishing a quest hub in the morning without dungeon runs, is up by 2 levels. I’m totally enjoying the leveling pace and variety, along with mob scaling. An option to return to Loch Modan after Arathi is awesome. By 40th level, I will have another gorgeous choice of zones, and neither of my 4 toons will have to re-run the same zones on their way to the top. And at 60, they will split to Outland and Northrend! Arkeona, as an assassin and a spyblade, will solve Western Plaguelands and most probably issues in Burning Steppes. Then she continues to Outland, craving to go to Terokkar and Nether. 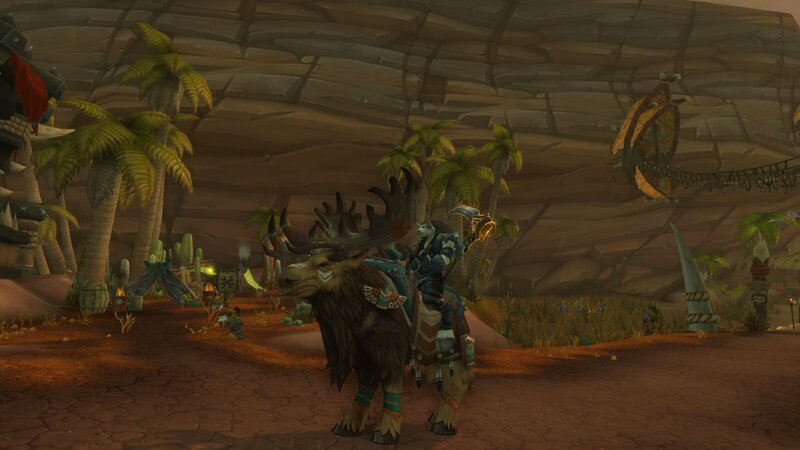 Jammu will continue enjoying the wonders of Kalimdor and learning about Tauren druids. Her plan are the lush grounds of Feralas and Un’Goro, then she will go and see Taunka in Borean Tundra! Kalaari will do the paladin cause in Eastern Plaguelands, then she travels to Blasted Lands and continue to Outland to see her draenei homeland. Myde will explore the troll civilizations in Stranglethorn, then it’s most probably Swamp of Sorrows, followed by Northrend (most likely, Howling Fjord). P.S. : the yak won’t pass under certain bridges :) You’ll need a detour. …this is what I saw when I came back from my band’s rehearsal yesterday. Guys, it was better than New Year or expansion release day :) The highly anticipated pre-order/allied race release was 95% to happen, and yet this 5% of uncertainty made the hype. The overall enthusiasm resulted in ultimate queues. I was wise to go to bed at 11 p.m. (it’s probably the earliest I ever did in my grown-up life), and bought the expansion in the morning with no queues or reported bank troubles. Not everything was fixed by the morning. 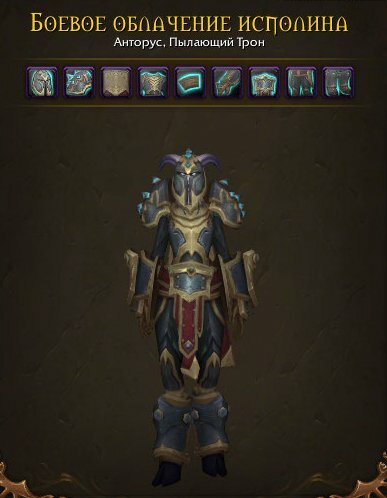 Blizzard is still working on adding extra 4 slots as we speak, so if your toon roster on your main realm is full, you won’t be able to add extra toons there, lol :) Nevertheless, I did introductory quests which open up allied races (you may do it on any 110 toon of the faction), and created a testing pair at another realm. For reasons unknown, I went with the Horde first, so I opened Highmountain Tauren and Nightborne. I won’t spoil questlines, but they both involved traveling to Broken Isles and one of the Horde capitals, as well as they both were linked with the Void. I must tell that I absolutely hated Sylvanas talking, although there was nothing too brutal. I realized that she’ll be a Garrosh-type of warchief: respected by some, disliked and hated by many – even within her faction. Obviously achievements grant you Allied Races, and I created two toons – just created them. Most probably I will restart them at my main realm when Blizzard fixes the slots problem. Options are not rich for Nightborne: barely 3 skin colors and a poor choice of haircuts for an elf. With Highmountain Tauren, it’s much better, a wide range of customization. As planned, I’ve created a Nightborne Rogue (most probably Outlaw, but then I think of pistols, and I think of Subtlety) and a Highmountain Druid – she will be a bestial one, exploring cat/bear, because my other druid Helu is Balance/Restoration. You start at your faction capital (Suramar/Thunder Totem), and, after a quick talk to Thalyssra/Mayla, you just walk in a teleport to Orgrimmar. There, you have your faction tabard, you’re level 20, and you’re free to go leveling. The background of my Horde toons is this. 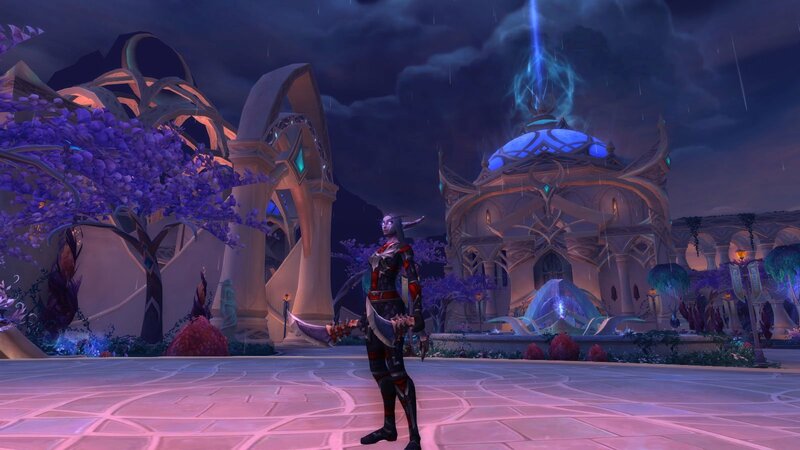 The Nightborne Rogue was a ranked nazi during Elisande’s rule, she was a spy and a blade master helping to investigate the criminal rebel activity. After Elisande was defeated, the leopard actually changed her spots. She asked to be forgiven, and that she was mistaken, and they believed her. She kneels to the power, and power only. For now, she needs to carve her success and win recognition among Horde ranks – as far from the Nightborne as possible for the moment. She won’t tolerate frowns and whispers behind her back, which cannot be avoided in Suramar. That is why Horde’s errands on another continent feel like a gulp of fresh air to her. 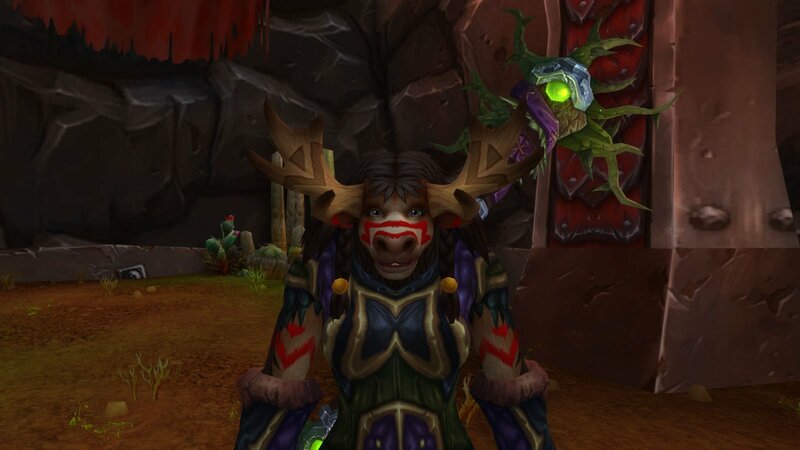 The Highmountain Druid is actually a very young girl, and playful as such. She’s in her teens, or barely a couple of years up. The main reason she opted to be a cat druid… is because she likes how cats are cuddly and funny. She’s eager to learn from and get acquianted with amusing cow-druids of Kalimdor. It’s the new questline in Patch 7.3.5., and it appeared to be just wonderful! The questline itself is very easy. First, you need to find a randomly spawned lost letter by one of the mailboxes in Dalaran or buy one in Auction House. I wanted to do this asap, so I paid 60k and got the quest. The quest sends you to Black Market boss in Underbelly, and you witness how a dwarf recieves his armor. Then you get a mail which wants you to the postmaster’s office. It was tricky to find, but for those who have difficulties, there: you need to follow the lane to petmaster, and you will discover a postmaster tube by the cemetery. Click it, and you’re in the office. Like all other shops in Dalaran, the office is just gorgeous. So many details that I’ll be touring there for at least half an hour! Anyways, your questline continues,and you need to visit Feralas and Eastern Kingdoms to deliver stuff (it’s very funny), then you get access to the minigame. The minigame offers you 6 continent tubes. A name of the place with a name of a continent zone pops up, and you click the corresponding tube to send the letter. You need to be real quick with it. The first achievement is sending 30 letters in 60 seconds, so you have just 2 seconds per letter. The second achievement is sending the same 30 letters in 60 seconds, but addresses are not full! So you will have to quickly define which town is in which continent. It’s just the achievement for me: difficulty is at the level, but not ridiculous, and it requires knowldge of Azeroth geography :) And you get a mailbox toy and a pet as a reward. I have not yet tried the second achievement, but I’l be doing it with eager. Well done, Blizzard. I strongly advise everyone to do this questline, even if it means spending 60k :) Totally worth it.